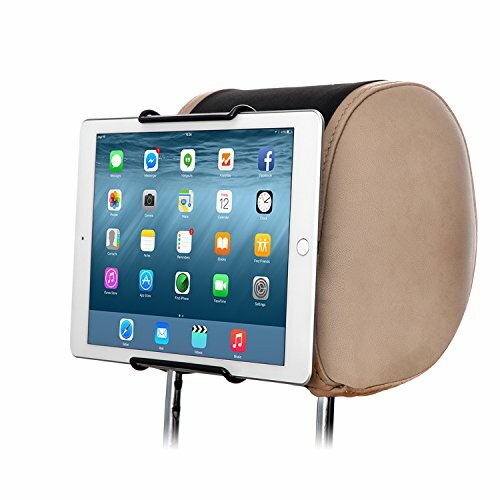 TFY Universal Car Headrest Mount Holder, Fits ALL 7 Inch to 11 Inch Tablets - Apple iPad, iPad 4 (iPad 2 & 3), iPad Air, iPad Mini 2/3/4 - iPad Pro 9.7" - Samsung Galaxy Tab & Note and More | Replicafer Co.
A life saver on long drives. The car mount holder provides great entertainment for kids. Universal Car Headrest Mount fits all Tablet PCs - Works with or Without your Tablet PC Case Instant Back Seat Entertainment Perfect companion for long car journeys.